An ice cream burrito? 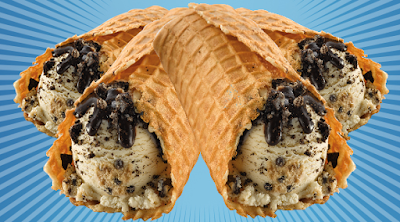 Not an impossible idea to conceive of if you've had Good Humor's Choco Taco, but the BRRRito at Ben & Jerry's replaces the burrito's tortilla wrap with a waffle shell. The menu item returns today to their Rockvillle Town Center store.